Watch out! The Australian Motorik crew who are famous for their monthly techno parties just released the first EP on their own label. It is called Keep Holding On and was produced by CSMNT61 (or simply Cosmonaut). They are a trio from Sydney and are part of the Motorik family themselves. Another crew member – Jensen Interceptor – who was one half of Light Year made an appearance on one track and remixed a second one. The title track "Keep Holding On" is kind of mental and chilly one with a portion of epicness provided by the vocals and the old school-synths. The track was remixed by Jensen Interceptor as mentioned before and he created a deep and modern techno track with a completely different style. Mixing both styles together leads to the third track, which is called "Sloth" – a dark tune with a nice groove and sweet, artificial laughs. At last, there is "The Truth": finest techno again with a stomping beat and amazing acid influences. 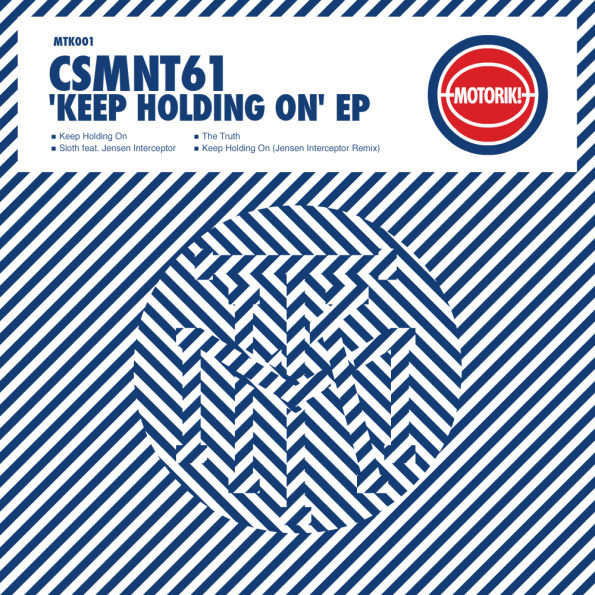 Altogether, Keep Holding On is a fantastic 'debut' EP for the Motorik we are waiting for further releases from them, from Jensen Interceptor and from Cosmonaut! Cosmonaut · CSMNT · light year · Motorik! Hahah yeeesssssssssssss–This is what they play in abortion clinics. They cut out the distance between the clinic and the dance floor and let you make the whole route in one place.